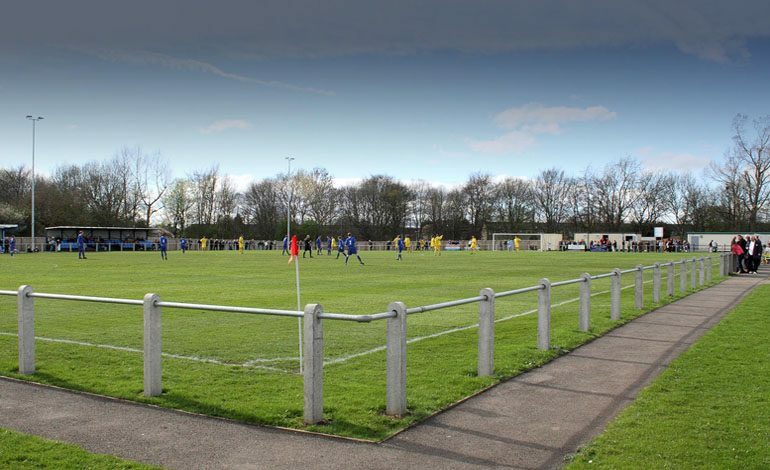 Newton Aycliffe FC’s season kicked off with a home defeat at the hands of Ryhope Colliery Welfare. The first half was a cagey affair with Aycliffe being slightly the better of the two sides. They had the ball in the net on 17 minutes, but centre forward Ian Ward was judged to have fouled the Ryhope keeper Jonathan Ball. Ryhope then had a good chance four minutes later, but home keeper James Winter made a comfortable save from a far post header. On the stroke of half time, Aaron Ramsbottom beat his marker and got his shot away, but Ball made a good save. Aycliffe huffed and puffed after the break, without creating any good chances. They had a penalty shout on 49 minutes when Matty Pennal appeared to bundled over, but it was waved away by the officials. Aycliffe then went behind when a long ball evaded the defence and Josh Home-Jackson ran on to head past Winter. Thibault Charmey had a couple of chances to equalise on 64 and 68 minutes, from free kicks on the edge of the box, but both were put over the bar. Five minutes later, Ryhope doubled their lead when a cross from the left found Robbie Bird unmarked at the far post, and he slotted the ball past Winter. Aycliffe go to Penrith in the league on Wednesday night followed by an away cup tie at Guisborough on Saturday.